Lots of people are implementing solar energy as a mainstay of their energy source, and technology is dropping in price and becoming much more relevant in the search for alternative, sustainable energy. If you’re considering switching to solar it is useful to know some of these solar energy facts & statistics . There is a vast array of solar information, our solar facts are bite size pieces of information on solar energy. Australia has the highest solar radiation per square metre of any continent and some of the best solar energy resource in the world. Solar energy can form the continent’s largest energy source if harnessed effectively. Solar energy falling on Australia is approximately 15,000 times more than the energy consumption of the continent. There is enough roof space area available in Australia to meet the continent’s electricity demand through solar power. In just 15 minutes of full sun, we could capture enough solar energy to provide the electrical needs of everyone on the whole planet for a full year. Solar lights work after cloudy days. During daylight, even when overcast, the solar panels’ “solar generators” charge long-life batteries, which store the energy until needed, up to 5 days for Sol systems. 174 Petawatts of solar radiation strikes the atmosphere every single day. 1% of the energy produced by nuclear fission in the sun every second is enough to meet the energy requirements for the entire earth’s population. The sun is in the top 5% of stars in the Milky Way for size and brightness. The sun is the main source of energy for all life forms on earth. The range of applications for solar is quite wide, expanding well beyond the basic solar panel arrays often pictured. Solar energy is one of the fastest growing new sources of electricity, and as technology advances and productions costs decrease, is increasing in efficiency at a rapid pace. Powering Space Missions since 1958. Temporary establishments such as mining sites, fairs, or even the Olympics. In 700 B.C. glass lenses were used to start a fire by concentrating the suns rays. The price of solar energy systems is decreasing as production technology advances and reduces the associated cost. 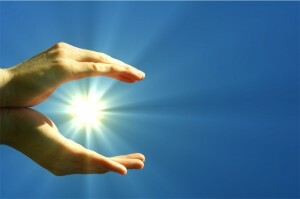 In some sense, solar energy is free, as sunlight is available to all. Let’s give you some ballpark solar facts on the cost of a system, which may help you as you consider entering the arena of solar energy. Depending on the solar panel type purchased, solar panels cost about 1/3 of the overall price. It pays to hire professionals for installation of a system, which will run you about $3,000. 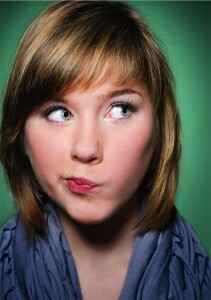 Permits and fees may rack up the price by another $3,000 so be sure to factor that into your considerations. 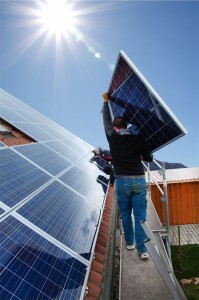 Australia’s Renewable Energy Trust (RET), has set the goal of sourcing 20% of electricity from renewable energy by 2020, to help achieve this target some state governments have rebate schemes to encourage the installation of solar PV panels, however these rebate and incentive schemes are gradually being reduced across Australia due to cost. This is a basic starter kit of energy solar facts and information . The world of solar is vast and often complex, there are many questions on solar energy before you move but hopefully this article will give you the essential understanding to venture further into this exciting, growing technology.